The juice is effective as eye drops (regarded as a magic curative). Decoction of leaves or the juice of the leaves, are often consumed as a cure for venereal disease. A leaf decoction is taken to relieve rectal inflammation. The fruit is given to children as a protection against coughs. A flower infusion is believed be effective against coughs and thrush. A leaf infusion is a remedy for coughs and is taken after childbirth as a tonic. The leaves are applied as poultice on itches, swellings of mumps and rheumatism, and on skin problems. The fruit and leaves are applied on bites of poisonous insect. Syrup made from Bilimbi fruit is taken as a cure for fever and inflammation and to stop rectal bleeding and alleviate internal hemorrhoids. The juice of the fruit is popular for making cooling and refreshing drinks similar to lemonade. The most common use for the fruits is a flavoring for fish and meat dishes. It also use for pickling and is substituted for mango in chutney. To reduce acidity, it may be first pricked and soaked in water overnight, or soaked in salted water for a shorter time; then it is boiled with much sugar to make a jam or an acid jelly. A quicker pickle is made by putting the fruits and salt into boiling water. This can be kept only 4 to 5 days. The high acid content of the juice makes it a good agent for removing stains from the skin. The juice is useful for bleaching stains from white clothe, and also tarnish from brass. In olden days it was used for cleaning the blade of a keris, the short, wavy dagger of the Malays. The juice serves as mordants (serves to fix color) in the preparation of an orange dye for silk fabrics. In addition to the nutrients highlighted in our ratings chart, an in-depth nutritional profile for Whole wheat is also available. This profile includes information on a full array of nutrients, including carbohydrates, sugar, soluble and insoluble fiber, sodium, vitamins, minerals, fatty acids, amino acids and more. In order to better help you identify foods that feature a high concentration of nutrients for the calories they contain, we created a Food Rating System. This system allows us to highlight the foods that are especially rich in particular nutrients. The following chart shows the nutrients for which this food is either an excellent, very good, or good source (below the chart you will find a table that explains these qualifications). If a nutrient is not listed in the chart, it does not necessarily mean that the food doesn't contain it. It simply means that the nutrient is not provided in a sufficient amount or concentration to meet our rating criteria. To read this chart accurately, you'll need to glance up in the top left corner where you will find the name of the food and the serving size we used to calculate the food's nutrient composition. This serving size will tell you how much of the food you need to eat to obtain the amount of nutrients found in the chart. Now, returning to the chart itself, you can look next to the nutrient name in order to find the nutrient amount it offers, the percent Daily Value (DV%) that this amount represents, the nutrient density that we calculated for this food and nutrient, and the rating we established in our rating system. For most of our nutrient ratings, we adopted the government standards for food labeling that are found in the U.S. Food and Drug Administration's "Reference Values for Nutrition Labeling. Los Angeles: Air pollution poses a threat to the health of about 154 million Americans or more than half of the US population, the American Lung Association (ALA).The air is so polluted in some areas that it is often dangerous to breathe, Xinhua quoted the ALA stating in its annual report on air quality across the US. About 48 percent of US residents live in counties where smog (ozone) is too high, 20 percent live in areas where there are too many short-term spikes in pollution and six percent live in areas with harmful year-round soot (particle pollution), said the report.About 17 million Americans live in areas afflicted by all three air pollution hazards, the report noted. The report listed California as the most polluted state, where people are breathing some of the worst air.Compared with other states, California has more polluted places, including Los Angeles, Long Beach, Riverside, Bakersfield and Fresno, the report said.Research suggests air pollution threatens human health -- and not just the lungs. Small particles of pollution can lodge deep in the lungs, triggering an inflammatory process that, over time, can spread elsewhere in the body and damage blood vessels and the heart, said Norman Edelman, the ALA's chief medical officer. In addition to posing both long-term and short-term risks, pollution can also contribute to low birth weights, diabetes, cardiovascular disease, heart attack, stroke and, ultimately, shorter life divs, he warned. Salads are a great way to get more vegetables in your diet. Better still, they help to fill you p so you will eat less of the more fattening foods in your dinner. You can start the meal with a salad, or use it to help fill you up after the meal, if you are still hungry. Be careful what you choose to top your salad with, and especially if you are at a salad bar. Many toppings can weigh your salad down until it contains many more fat grams and entrees than a traditional meal. Iceberg lettuce may be a popular salad green, but it contains very little nutrients. Try a variety of lettuces and greens for a more nutritious and delicious salad. According to the USDA, Iceberg lettuce contains 13 calories per 2 cup serving. However, it contains only 7% of the RDA for Vitamins A and C. Fresh spinach leaves also contain 13 calories per 2 cup serving. However, this serving contains 81% of the RDA for Vitamin A, and 28% for Vitamin C.
London: Spicing up the daily diet with some red pepper can curb appetite and help burn unwanted calories, a study says. 'We found that consuming red pepper can help manage appetite and burn more calories after a meal, especially for individuals who do not consume the spice regularly,' said Richard Mattes, professor of foods and nutrition at Purdue University, who led the study. 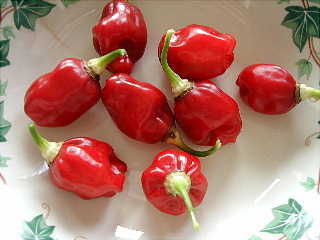 'Dietary changes that don't require great effort to implement, like sprinkling red pepper on your meal, may be sustainable and beneficial in the long run, especially when paired with exercise and healthy eating,' the journal Physiology and Behaviour, quoting Mattes, said.Other studies have found that capsaicin, the component that gives chili peppers their heat, can reduce hunger and increase energy expenditure burning calories. The current study measured the effects of the spice using quantities of red pepper -- one gram or half a teaspoon -- that are acceptable for many consumers, according to a Purdue statement. Other studies also have looked at consumption via a capsule, but doctoral student Mary-Jon Ludy and Mattes' study demonstrated that tasting the red pepper may optimise its effects. This study used ordinary dried, ground cayenne red pepper.Cayenne is a chili pepper, which is among the most commonly consumed spices in the world.Most, but not all, chili peppers contain capsaicin. A group of non-overweight people, half who liked spicy food and half who did not, participated in the six-week study. The preferred level of pepper for each group was determined in advance, and those who did not like red pepper preferred 0.3 grams compared to regular spice users who preferred 1.8 grams. In general, red pepper consumption did increase core body temperature and burn more calories through natural energy expenditure.Mattes said the findings also show that red pepper should be consumed in non-capsule form because the taste - the sensory experience - maximises the digestive process. You must have heard a lot about foods rich in vitamins and minerals. Sometimes this food could be some sort of exotic algae or some fruit or vegetable that is not always available easily or it may be just a little heavy on your pocket. Now we sure do not want to go hunting for some food or spend a fortune just to seek nutrition. Food is all around us but what is important is to selectively pick them according to their value. Now if you crave for sweets then try biting into an apple rather than feasting on pastries which is high on calories. The closer the food is to its natural state the better it will be to your health. Include a lot of fruits, berries, greens and vegetables in your diet. Try steaming veggies instead of frying to obtain its complete vitamins. And stay away from those sauces. You can try some of these fruits and veggies and can surely be guaranteed of wholesome nutrition. Apple: Now this is a food that we all know and thank god they are easy to find and not so much on the expensive side. Apples are low in calories and are a good source of fiber. The pectin in apples help reduce "bad" cholesterol by binding with cholesterol and fats before the body absorbs them. It also contains some vitamin C which is good for your heart. The antioxidant compounds in apple (such as quercetin, epicatechin, and procyanidin B2) helps reduce the risk of cancer. Apples can be eaten like a snack in its natural form, which is highly recommended, or they could be tossed in a green salad or a main dish salad or fruit salad. Bananas: Now you know why monkeys just can't keep their hands off these. Bananas, one of the greatest tropical fruits, is calorie dense and is an instant energizer. It is rich in potassium and fiber. They taste great just the way they are or if you fancy a fruit salad then try adding a few slices. You can also add a few pieces for a heavenly yogurt parfaits or even smoothies. Baby Carrots: If your body longs for some vitamin A then you need to get your hands onto some carrots which are a super source of beta carotene which gets converted into vitamin A. You can just eat them as carrot sticks or toss them in veggie platters or even as the side dishes. You can also cook them up in a stew and casseroles. Eggs: These are the most cheapest, easily available and rich in protein food. They are also a good source of the antioxidants lutein and zeaxanthin, which are known to ward off age-related eye problems. Eggs can be included in breakfast as boiled, poached and fried forms. You can also cook up some spicy egg curry or even a simple egg sandwich. Lentil (dry): They are very common in India and are high in protein, magnesium and potassium. It is one of the most easily accessible pulses. It can be included in the diet in the form of soups and stews, cold bean salads, and casseroles. Yogurt: The healthy bacteria in yogurt are very much good for your digestive system. It has good amounts of calcium and protein, and is generally taken as smoothies, yogurt parfait, dips and dressings. Kale: Kale is a dark, leafy green and is loaded with vitamin C, carotenoids, and calcium. It is cheap and consumed in a vegetable curry form. Pearl Barley (dry): This niacin (vitamin B3) rich food provides numerous protective actions against cardiovascular risk factors. It also helps to reduce total cholesterol and lipoprotein (a) levels (a type of cholesterol which is associated with an increased risk for heart diseases). Barley is one of the richest sources of both soluble and insoluble fiber. It is used in soups and stews, cold salads, and casseroles. Oranges: It is a very common fruit and it is well-liked because of its easy availability all year round, dense nutrition, and it also tastes good. They are an excellent source of vitamin C and flavonoids. They also contain vitamin A, vitamin B, amino acids, beta-carotene, pectin, potassium, folic acid, calcium, iodine, phosphorus, sodium, zinc, manganese, chlorine and iron. They taste great just the way they are or you can even include them in a salad. Food rich in vitamins and minerals are easily available. We just need to know when to buy what, so that it doesn't crunch our wallet. Always buy fruits during their season because they will not only sell cheap but also taste great. Little is known about these tangy, purple berries native to India. 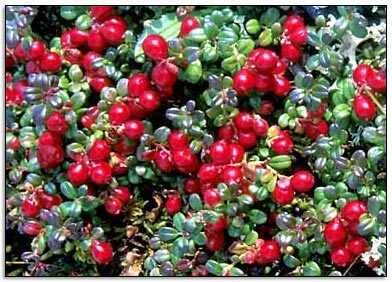 Used widely in refreshing drinks and coastal curries, kokum offers a wide range of medicinal properties. Read on to find out what these pretty fruits can do for you and what you can do to max out the health benefits of kokum. Kokum (botanical name: Garcinia indica), is a deep purple fruit that is very similar to Mangosteen. 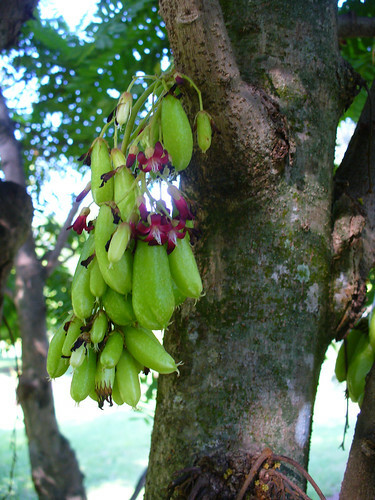 The tree is native to the Western Ghats and Konkan regions of India and the fruit is commonly used in west-Indian cuisines. Various parts of the tree such as the seeds and bark of the root are used in Ayurvedic preparations since they offer a myriad of health benefits. Dried Kokum fruit rinds are widely used in cooking as they impart a sweetish-tangy flavor to the food. The fruits contain citric acid, acetic acid, malic acid, ascorbic acid, hydroxycitric acid and garcinol. · Kokum fruits contain rich amounts of anti-oxidants that bind with free radicals and prevent oxidative damage to body cells. They also promote cell regeneration and repair. · Kokum juice is especially popular during scorching summer months as it has a cooling effect on the body and shields the body against dehydration and sunstroke. It also helps in bringing down fever and allergic reactions. · Kokum seeds contain a high percentage of oil that freezes to form Kokum butter. Kokum butter is extensively used in the pharmaceutical and cosmetic industry as it works wonders on dry, chapped, sensitive, irritated or burnt skin. · Kokum butter is rapidly gaining popularity over cocoa butter as an intensive skin moisturizer. · Due to its soothing and healing properties, it is also applied directly to wounds and infected areas on the skin. · Kokum butter is rich in healthy fats like stearic and oleic acids and can also be used as edible oil. · Extracts from the Kokum fruit are traditionally used to relieve gastric problems like acidity, flatulence, constipation and indigestion. · Kokum juice is a healthier and far more refreshing option as compared to commercial bottled drinks. It acts as an appetite stimulant and also has anti-helmintic properties. · Ayurvedic medicine also uses Kokum infusions to treat piles, dysentery and infections. Kokum is known to strengthen the cardio-vascular system and stabilize liver function. · The hydroxycitric acid present in the fruit fights cholesterol and curbs lipogenesis, thus aiding weight loss. IS SEA SA;T BETTER FOR YOUR HEALTH THAN TABLE SALTS? Sea salt and table salt have the same basic nutritional value — both mostly consist of two minerals — sodium and chloride. However, sea salt is often marketed as a more natural and healthy alternative. The real differences between sea salt and table salt are in their taste, texture and processing, not their chemical makeup. Sea salt is produced through evaporation of seawater, usually with little processing, which leaves behind some trace minerals and elements depending on its water source. These insignificant amounts of minerals add flavor and color to sea salt, which also comes in a variety of coarseness levels. Table salt is mined from underground salt deposits. Table salt is more heavily processed to eliminate trace minerals and usually contains an additive to prevent clumping. Most table salt also has added iodine, an essential nutrient that appears naturally in minute amounts in sea salt. By weight, sea salt and table salt contain about the same amount of sodium chloride. Your body needs only a couple hundred milligrams (mg) a day to stay healthy, but most people get far too much — mostly from sodium in processed foods. So regardless of which type of salt you prefer, keep sodium consumption between 1,500 and 2,300 mg of sodium a day if you're a healthy adult. People with high blood pressure, African-Americans and anyone middle-aged or older should aim for the low end of that range. Jackfruit is the name of the fruit of ‘jackfruit’ tree, which belongs to the mulberry family. It is native to southwestern India, Bangladesh, Philippines, Sri Lanka and possibly, east of the Malay Peninsula. 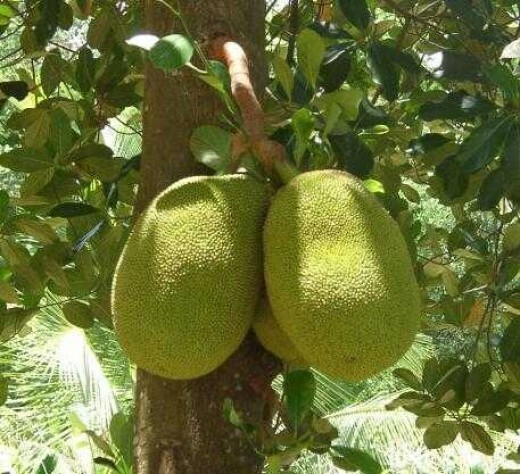 Mainly found to be cultivated in tropical conditions, jackfruit is said to be the largest tree-borne fruit in the world, with its diameter being at least 25 cm. on the other extreme, there can be jackfruits measuring as much as 36 kg in weight, 90 cm in length and 50 cm in diameter. The best part of the fruit is that even its seeds have been found to have a high nutritional value. If you want to know more about the health and nutrition benefits of eating jackfruit, browse further. Being rich in potassium, jackfruit has been found to be helpful in the lowering of blood pressure. The extract of Jackfruit root is believed to help cure fever as well as diarrhea. Jackfruit contains phytonutrients, with health benefits ranging from anti-cancer to antihypertensive. The root of this fruit has been found to be beneficial for those suffering from asthma. Jackfruit proves to be a very good source of vitamin C, which is known for its high antioxidant properties. The fruit contains isoflavones, antioxidants, and phytonutrients, all of which are credited for their cancer-fighting properties. Jackfruit is known to contain anti-ulcer properties and is also good for those suffering from indigestion. Boasting of anti-ageing properties, the fruit can help slow down the degeneration of cells and make the skin look young and supple. Jackfruit serves as a good supply of proteins, carbohydrates and vitamins, for the human body. It is believed that the fruit can help prevent and treat tension and nervousness. Since it contains few calories and a very small amount of fat, jackfruit is good for those trying to lose weight. If you are suffering from constipation, regular consumption of the fruit will surely prove beneficial. Playing in water is a sheer fun. Isn't it? Oh No! You do not need to know swimming to enjoy playful moments in water! You can spend time in a shallow pool to entertain yourself and to relax your senses. And this can take a better shape if you combine entertainment with some of aquatic exercises which will be beneficial for your health. Aquatic exercises also referred to as water aerobics are nothing but the activities that are performed in water. Aquatic exercises are not just spending time in pool and kicking up and down, but it is a way to complement and enhance your regular workouts. Water aerobics also assist in the recovery process after you sustain an injury. What are the Unique Features of Aquatic Exercises? The most unique feature of aquatic exercises is that these exercises offer minimal impact. It is estimated that the rebound force offered by the ground while running or jogging is nearly 5 times the body weight. This doesn't occur in aquatic exercises. The buoyant property of water makes you to perform exercises without any significant impact. Because of this feature, aquatic exercises are very important and effective in recovery and rehabilitation. Injuries can severely impair your activities and can make exercise difficult. Under such a situation, exercises can increase the risk of further injuries. On the other hand, lack of exercises may affect your level of fitness! Aquatic exercises put the body in a near zero gravity environment which denotes minimal or no impact and thereby, making exercises safe to maintain fitness levels. These exercises also promote healing by improving the body's circulation. This feature is being widely used in the rehabilitation of orthopedic conditions especially arthritis which gets worsened by the heavy impacts of the weight bearing exercises. In case of overweight and obese people, exercises like jogging, running and skipping put tremendous pressure on the joints. In this case, aquatic exercises are ideal to burn more calories and to maintain joint health. Another feature of aquatic exercises is its variable resistance. It means, the faster and the harder you work against water, the greater will be the resistance and you will need to workout harder. So, during the recovery process, where you need less resistance and easy workout, opt for slow and gentle moves. Thus, it's up to you act, water will always return an equal resistance. What are the Benefits of Aquatic Exercises? Aquatic exercises offer benefits similar to what is offered by regular exercises. The unique features of water aerobics make them safer options as well. Being a good form of aerobic exercise, aquatic exercises offer a number of cardio-respiratory benefits. Studies have shown that people with mild hypertension can effectively bring their blood pressure under control with regular aquatic exercise. Aquatic exercises burns more calories and do not prove to be hard on the joints. Thus, it is the one of the best exercises for overweight and obese individuals. Aquatic exercises can efficiently improve mobility and range of motion, thereby increasing flexibility. Aquatic exercises are found to be effective in increasing muscular strength, coordination, balance and postural alignment. Aquatic exercises has got therapeutic effect in relieving back pain, joint stiffness etc. Aquatic exercises have a massaging and a relaxing effect which help you to fight with day to day stress. Aquatic exercises are found to be relatively safe in pregnant women. If you are overweight and want to start off with an exercise regime, then you can consider water aerobics as the safest form of workout for you! Join a water aerobics class and you will feel the joy of getting involved in a group activity. Doing workouts in a group is highly motivating and this will help you to maintain a proper exercise routine. Minerals and vitamins – Coriander seeds are a rich source of various minerals and vitamins. It provides iron, phosphorus, calcium and other vitamins such as vitamins B and C.
Spice – Coriander seeds are dried and powdered and used as a spice and for flavoring the food. Insomnia – These seeds are used as folk medicine to get relief from insomnia and anxiety. Diuretic – Coriander seeds are used as a diuretic. Stomach problems – It helps in treatment of indigestion, flatulence and diarrhea. Toothache and bad breath – Gargling with coriander tea helps cure bad breath and toothache. These seeds help removal of heavy metals from the body such as aluminum, lead and mercury. Coriander seeds also have anti-fungal and anti-bacterial properties. Hence, they prevent infection from wounds. These seeds also have anti-inflammatory properties and thus are used as a remedy for rheumatism and arthritis. Its tea is used as a genital deodorant. Most people include banana in their daily diet, but very few have ever though of including banana stem. The banana stem has many nutritive and health benefits. The stem is usually thrown away once the fruit is cut from the plant. So next time if you happen to find one, think of including it in your menu. Here are some good health reasons why banana stem must be part and parcel of your diet at least on occasions. Banana stem is rich in fiber and helps weight loss. Due to rich content, it helps body to feel full faster. The intake of food gets reduced by including banana stem to diet. It can be taken in the form of juice, but eating it as a whole provides more benefits. Including it once or twice a week can help people looking for ways to cut down extra pounds. Like banana, banana stem is also rich in potassium and vitamin B6. Vitamin B6 helps production of chemicals such as hemoglobin and insulin. Again, it improves the ability of body to fight against infection. Potassium helps effective functioning of muscles including cardiac muscles, prevents high blood pressure, helps nerve impulses and maintains fluid balance within the body. It can be taken as a laxative for constipation. Again, the rich fiber content prevents constipation. It cools the body. So overall, banana stem does wonders to our body. How to include them in diet? Very tender ones can be used in salads and not so tender ones can be added to soups or as a steamed vegetable. Slicing banana stem for dishes might be hard work, but it provides unmatchable health benefits.